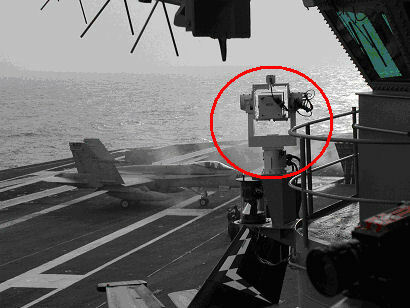 We’ve developed machine vision based control for COTS pan-tilt-zoom cameras to track trapping and launching aircraft. Machine vision is used to keep the aircraft in the center of the field of view during focus, zoom and slew. We’ve built pan-tilt-slew cameras with 360/second slew rates. These cameras contain near and infra-red sensors which allow operation in total darkness. These cameras were controlled by machine vision algorithms to track aircraft in final approach, taxi, and launch. 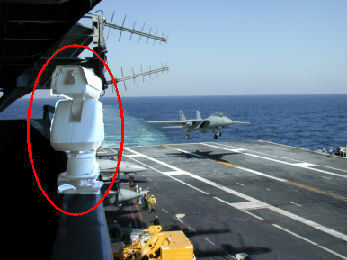 These cameras operated during entire carrier workup at-sea periods – a period lasting half a year – without maintenance or servicing. 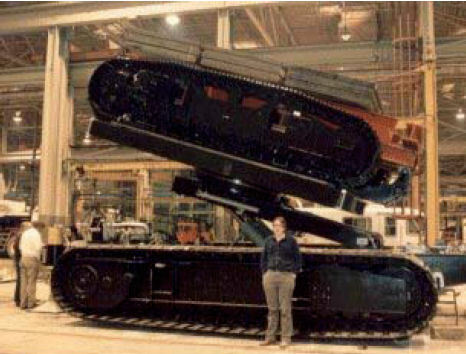 This system enabled the remote control of hydraulic equipment used to control the rotation in azimuth and elevation of a tank for radar cross section measurements. 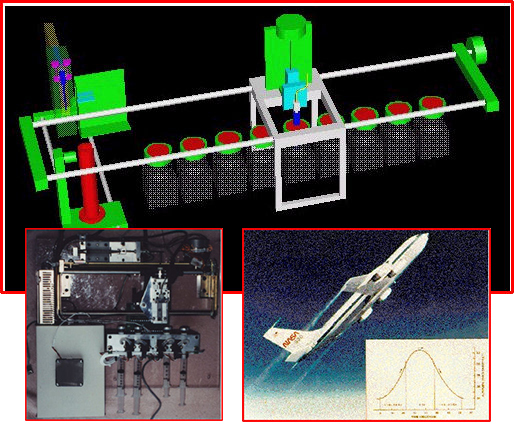 The fluid transfer device was developed for NASA for zero gravity operation. It involved computer algorithms for the control of mechanical servos and syringes for precise experimentation. It was space qualified on the Vomit Comet (Inset) for use on the Space Station Freedom. 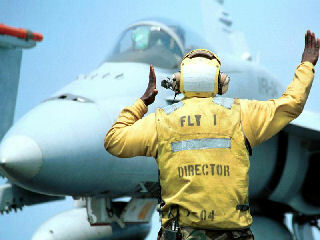 "Yellow Shirts" use hands and arms to communicate with pilots during launch, recovery, and taxi operations. We've developed speech recognition algorithms which allow the yellow shirt to command unpiloted aircraft with voice. In 150 dB of ambient noise!